Bringing together the latest news and event stories in and around Lincoln by Woodhead Construction. Woodhead has been working across the East Midlands and South Yorkshire for over 70 years delivering award winning construction projects, including the Lincolnshire region from restoring medieval castle walls to creating a sustainable ice cream parlour and farm. We are an award-winning construction company that offer distinct specialisms in the Heritage, Education, Improvement and Housing sectors. Our devoted build teams, focus on their construction sectors and work with the customers to gain a strong understanding of what they truly value. We build ownership, deliver our promises and make what we do better every day through a culture of continuous improvement. Here is a quick update on some of the projects we have carried out in Lincolnshire. The biggest collaborative council co-location scheme in the country was delivered by Woodhead Improve for the City of Lincoln Council. The project utilised vacant office space in order to bring public agencies together under one roof. Woodhead Heritage restored one of Lincolns oldest and iconic landmarks, the Newport Arch (and West Tower). The monument is an essential part of the rich heritage that makes Lincoln so successful as a tourist destination, and was in poor condition, and required urgent intervention to prevent further deterioration. This project saw the refurbishment of a news room and three small studio spaces within the Media, Humanities and Technology Building at the University of Lincoln; including the delivery of 5 projects running concurrently in 12 weeks on a live campus. Regular meetings were held by Woodhead Education and university course leaders to ensure that work and deliveries were conducted in in periods to avoid disruption to teaching. Conservation and new build at Lincoln Prison with refurbishment of the prison buildings and construction of a subterranean vault by Woodhead Heritage. Part of the wider, Lincoln Castle Revealed Programme, Lincoln Castle Prison will be the only place in the world where Magna Carta (1215) and the Charter of the Forest (1217) can be seen together. The project involves the complex refurbishment of the Georgian and Victorian Prison buildings to create a world class visitor attraction. BREEAM Very Good apartments delivered in Lincoln by Woodhead Living, in collaboration with Axiom, West Lindsey District Council and the Homes and Communities Agency. Woodhead transformed a former industrial site into 12 apartments in Gainsborough, Lincolnshire. Ice Cream Parlour in Lincoln awarded BREEAM Good offering exceptional thermal efficiency with construction completed by Woodhead Living. The building consists of a light and airy open plan café, a conference and education room which is used for educational talks and children’s parties and a small kitchen where the ice cream is produced. New Bungalows in Lincoln Meet Housing Need – New bungalows built in Lincoln to meet housing needs under the East Midlands Property Alliance (empa ii) Framework. West Common Sports Pavilion Refurbishment – Cricket pavilion refurbishment in Lincoln completed on West Common by Woodhead Improve for City of Lincoln Council. 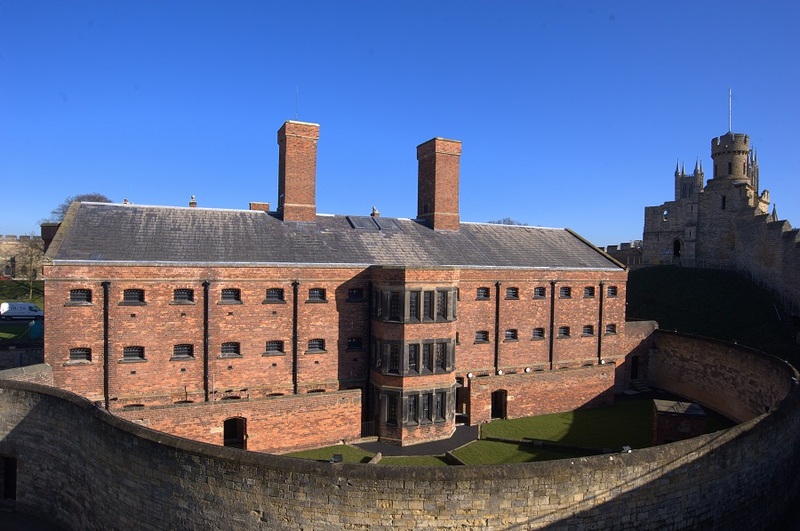 Lincoln Castle Revealed Programme – Conservation and new build at Lincoln Castle included new build of an iconic BREEAM Very Good Heritage Skills Centre & conservation of Lincoln Castle walls. New Homes for Lincolnshire – New council homes for Lincolnshire delivered by Woodhead Living. The first new council homes in over a decade for South Kesteven District Council. 5 New Homes for North Kesteven District Council – Five new built sustainable homes in Lincolnshire by Woodhead Living; across two sites for North Kesteven District Council. Heritage Skills Centre At Lincoln Castle – The Heritage Skills Centre at Lincoln Castle is the first new build within the confines of the castle for more than 100 years. Lincolnshire Dining Hall Project – Successful refurbishment of eight school dining halls across Lincolnshire. Helping eradicate school catering budget deficits by Woodhead Education. The Cornerhouse – Framework Housing – Woodhead delivered an Alcohol Treatment and drug rehabilitation centre designed to BREEAM Very Good, comprising of 15 self-contained flats and communal facilities in the heart of Lincoln City Centre. We are committed to Considerate Construction, Woodhead consistently score above the industry average in the Considerate Constructors Scheme. As part of our commitment to our local supply chain we completed our Good to Gold Programme, which gives our supply chain partners and people the skills and knowledge to grow with us. We have simple accurate and fast processes that help us manage our projects effectively and we attract, engage, develop and retain the right people. We have a collaborative culture and work on a number of public and private sector procurement frameworks to offer our customers enhanced value, regulatory compliance and quick solutions when it comes to kick starting construction projects. Visit our YouTube Channel for more information about our latest Construction projects. Our customers trust us to deliver their projects, and include North Kesteven District Council, Bassetlaw District Council, Lincoln City Council, Lincolnshire Police, The University of Lincoln and The Primary Care Trust. Got a construction project in Lincolnshire then contact us today.